As one of Conde Nast’s Top Hotels in New England, we’re known for our friendly service, immaculately designed rooms, and spectacular views, but we’re always striving to build a “world-class” service culture focused on our guests’ comfort. Our staff talks to our guests on a daily basis about what we can do to improve their experience, and we receive great input! Today, we’re excited to announce lots of wonderful enhancements and changes in preparation for the upcoming summer. 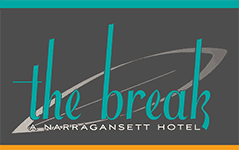 First property in RI to Implement KeyPR: Every room in the hotel now has a customized in-room tablet providing guests access to a directory of services, including dining, entertainment, weather, local events, and more. The app also allows guests to access music, specials, and third-party content apps such as iHeartRadio, the Wall Street Journal, and more. You’ll be able to check-in and out via the tablet and soon will be able to use it as a secure mobile key. 24/7 Access to the World’s Largest Cycling Class: We’ve added a Peloton Bike to our gym area, so our guests can experience the workout they love while on the road. 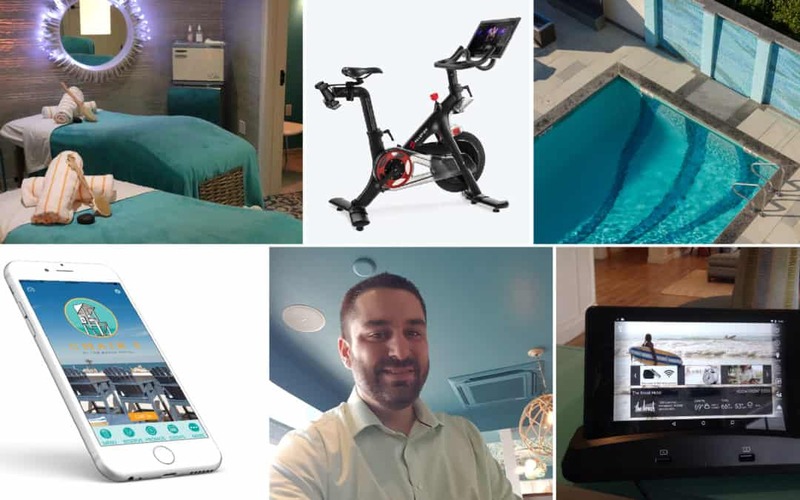 The Peloton bike brings you the most convenient and immersive indoor cycling experience, streaming daily live classes from Peloton’s NYC studio directly to our hotel. More Shade & New Chair Towels by The Pool: Our heated, outdoor saltwater pool is the perfect spot to enjoy fun in the sun. However, we know sometimes a little shade is nice! We’ve added some extra umbrellas near our lounge chairs, making it easy to catch a nap or just relax and order lunch, dinner and drinks from Chair 5, our fully-acclaimed restaurant. We know a strong signal and fast connection is critical when you’re away from home. Whether you’re by the pool, on our outdoor rooftop bar enjoying the ocean view, or relaxing in our micro-spa, you’ll always be connected. Improvements in our micro-spa now allows us to accommodate up to three services simultaneously, including a relaxing massage or facial, body scrubs, wraps, and more! Complimentary lavender back scrub with any massage and complimentary scalp massage with any facial!… not to mention Seasonal lavender specials are also now available – check out our list of services now! We’re happy to welcome Rob Minger as the new manager of Chair 5! With 22 years in the hospitality industry and 12 years as a Bartender/ Mixologists he brings many creative ideas and many wonderful cocktails to Chair 5! Having previously worked at favorite Rhode Island destinations including Castle Hill, Quidnesset Country Club,and The Coast Guard House, we are delighted to have this Grey Goose Taste Makers Winner as part of our team. In his off time, Rob enjoys golfing and surfing, as well as spending time with his wife and 2 children. We Have a Mobile App! Download our Chair5 mobile app from Google Play or the Apple store! Our app will provide special offers ONLY for our mobile app customers and allow you to find out about live music, special events, wine dinners and last-minute specials! Book your next stay now and come and see what’s new this summer!